The Jamrog Group attended Northwestern Mutual’s Eastern Regional Meeting in New York City on January 4th and 5th 2018. At this event, they networked with other advisors, saw leading industry analysts speak on the 2018 economic outlook, and heard author Angela Duckworth talk about her research and New York Times best-selling book, Grit: The Power of Passion and Perseverance. 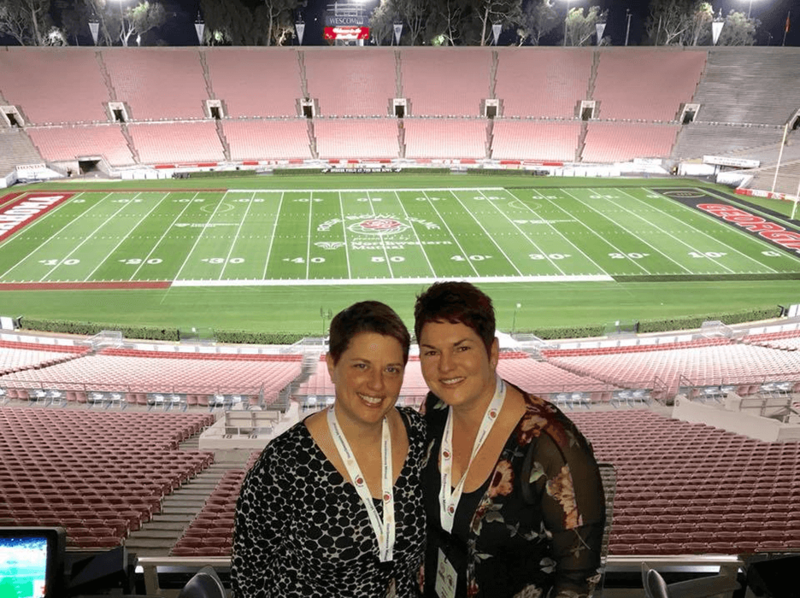 Amy and Kim had a fantastic time attending the Rose Bowl this year on January 1st, 2018. 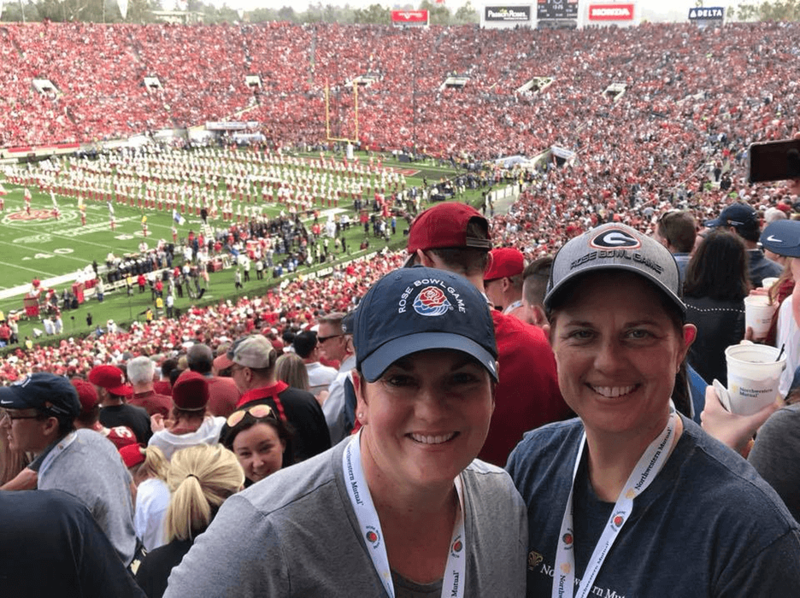 The football game was sponsored by Northwestern Mutual and Amy and Kim had a great experience attending both the Rose Bowl Parade and the game! 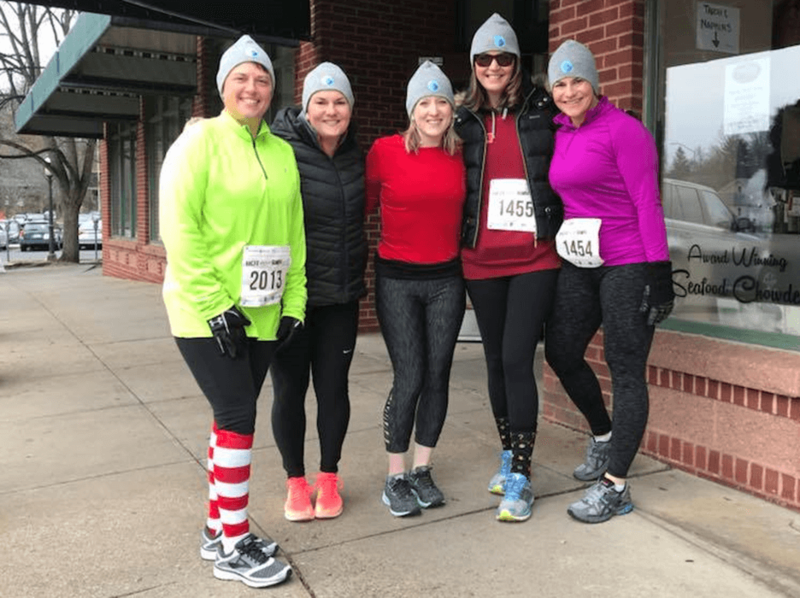 The Jamrog Group team ran a 5k "fun run" on December 3rd, 2017 in Northampton to benefit Safe Passage. 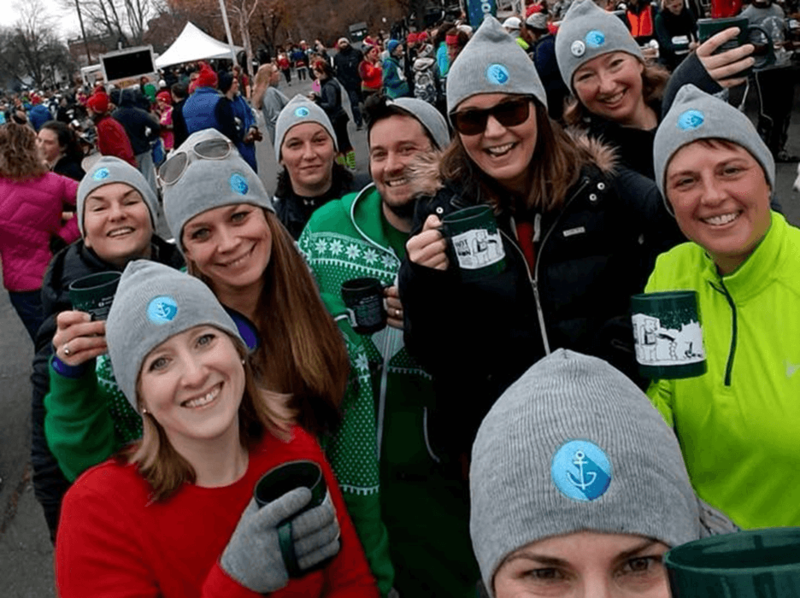 The Hot Chocolate Run brought a record number of runners this year and raised much-needed funds for victims of domestic violence. It was a fun day for all and the team was happy to have supported a great cause! After the run, they enjoyed a mug of hot chocolate at the finish line! On November 18th, 2017 Amy spoke at the University of Massachusetts for the Women’s Fund Leadership Institute for Political and Public Impact (LIPPI) group. Amy’s talk was titled "Your Financial Health and Well-Being" and was a free workshop for women interested in financial literacy. Some great talking points included how to determine short and long-term goals, how to choose a financial advisor, and financial tools that can be deployed to accomplish the goals they set. Amy and Jessica spent a fascinating day at the MIT Age Lab with Dr. Joe Coughlin on October 24th, 2017. All of the research done at the Age Lab is dedicated to understanding how the aging process impacts our behaviors & decisions, as well as how technology can help improve the quality of life for the elderly. 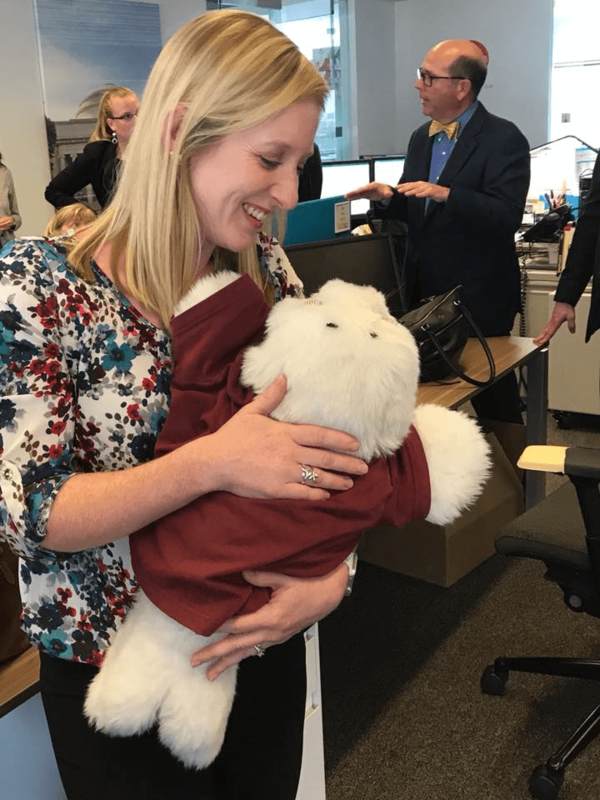 Their favorite part was meeting Paro, the very lifelike seal pup designed as a companion for patients with dementia! He is so snuggly and loving!! On September 29th, 2017 Amy, Jessica and Jess hosted “Jamrog’s Roadshow” in Hartford, Connecticut. This fun one-day workshop is designed to teach other financial advisors and their key staff members about the ways in which The Jamrog Group incorporates technology, organization, fun, and exceptional client service into our financial planning process. 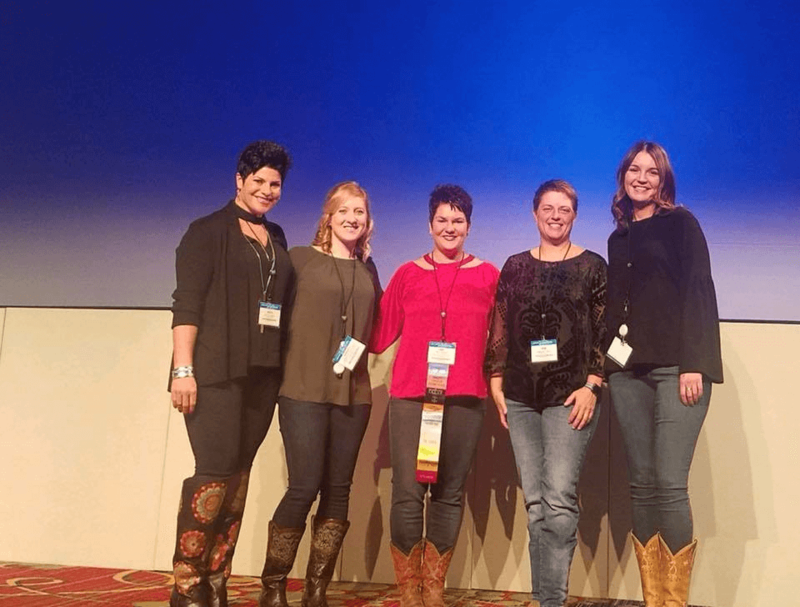 We had 32 participants from across the country in attendance and our hope is that the advisors left the workshop armed with new ideas that will benefit their clients. Stay tuned to see when we will hit the road again! The Jamrog Group hosted an informative workshop for parents of high school students planning for college on September 14 th, 2017 at Sláinte in Holyoke. Adam Metsch, founder and Certified Educational Planner at The College Advisor of New England, provided great information on increasing admission to great schools, financial aid applications and scholarships, as well as potential financial strategies that help families save on the cost of college. It was an informative night for all!